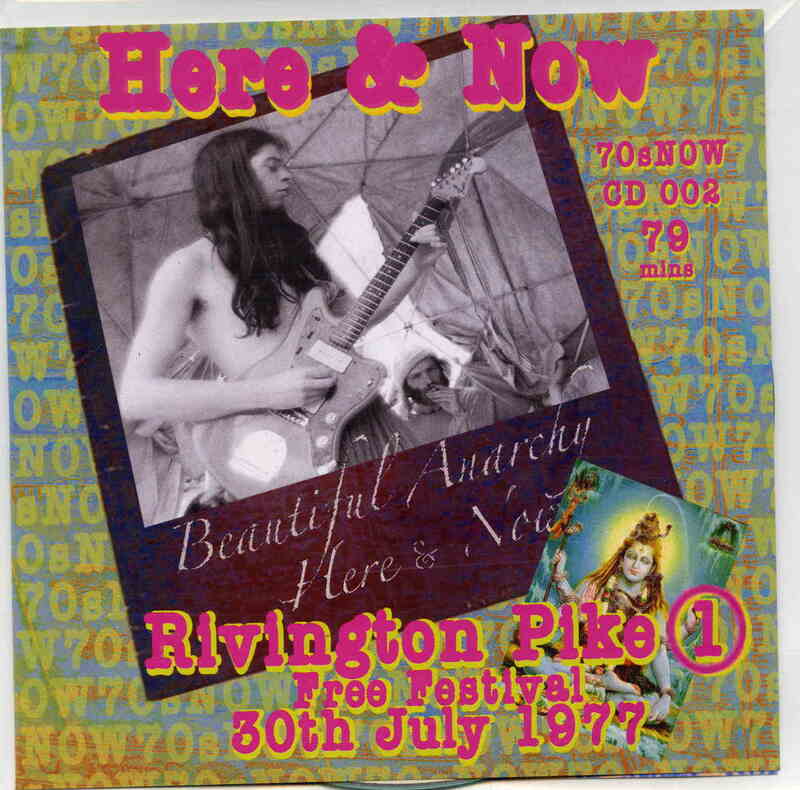 These are limited edition CD-R releases of classic Here and Now material from the 70’s. 1977 was a great year for this band and they were playing really cool spaced out jamming space rock stuff with a punky edge. Both are decent raw sounding recordings (but not multitrack). 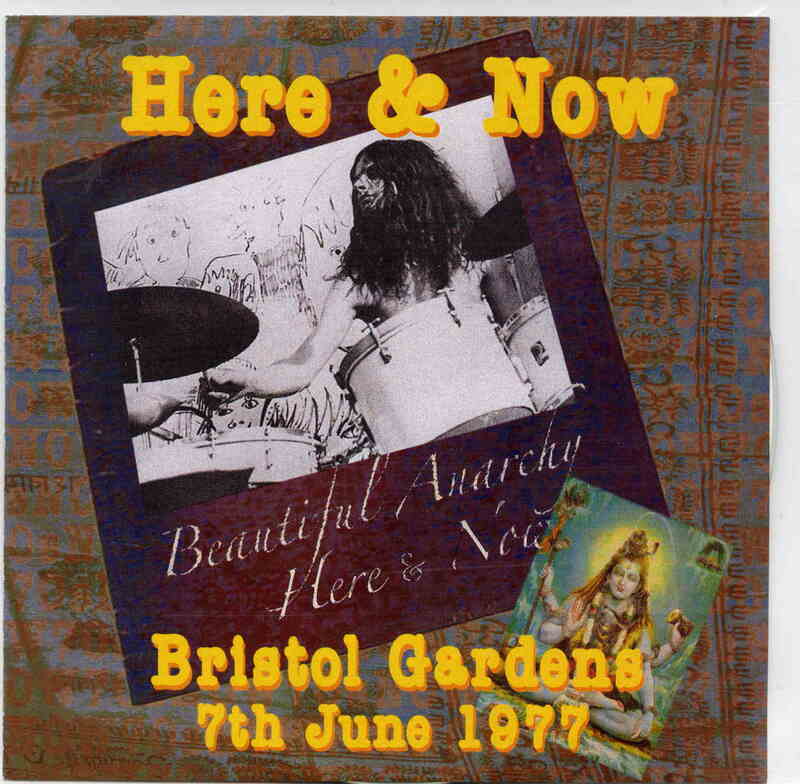 The Bristol Gardens show happened on June 7th, 1977. It is basically 3 long tracks. After a soundcheck, they launch into the long jamming 30 minute Now’s the Time to Live. Real free flying space rock and some great guitar by Steffe. Soviet Kommercial radio, which is also on the Rivington Pike show is next. Next is a long medley of Fred Astaire Travels into the Baba Jam and ending with The moment is Here. The Rivington Park show is many more songs and not as spaced out but also a pretty cool show. I am just surprised that none of the tracks from Give and Take are found here. Anyway, cool stuff from a band of freaks.